Provide comfort for the family of Louis Vaessen with a meaningful gesture of sympathy. It is with heavy hearts that we announce the death of our father, Louis Vaessen on March 18, 2019. He was born in Urmond, Netherlands on June 13, 1932. 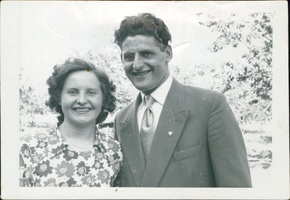 Pap married Maria 'Rita" Fuchs on June 2, 1959 and moved with his wife and 6 kids to Canada to fruit farm in 1973 never looking back. Louis was the primary caregiver for his wife many years until she moved to North Lambton Lodge, continuing to visit her twice daily, every day at the Lodge until he suffered a stroke this past summer. Louis loved his family, his faith and his many gardens. Survived by his wife Rita, together they raised their family of Matthew (Michelle), Jeff (Sally), Anna Thomson (Paul), Mary Searle (Bryan), Tina Warriner (Glen McPherson), and Margarita Weaver (Geoff). Beloved Opa to Doug (Tracy), Kimberly (Chris), Justin (Heather), Natasha (Luke), M.J.(Lindsey), Sarah (Jason), Nick (Lisa), Michael (Penny), Katrina (Jon), Cearra, Tim, Eric (Kayla), Kaitlynn, Kevin (deceased), Theresa, Elisabeth, Natalie, Joseph and Emma. Great-Opa to Conner, Jessica, Marissa, Lily, Jacob, Wesley, Jet, Axel, Ellie, Mya, Brooklyn, Arwen, Dane (and growing). Louis was the only son to the late Mathias and Anna Vaessen, the oldest brother to his sisters Bea, Tiny, Mai(†) and Greta of the Netherlands. Louis is predeceased by his grandson Kevin. A man with a true servant’s heart, Louis was very involved in his grandchildren’s lives, the Catholic Church and bringing meals on wheels to those in need. The family would like to thank Father Tom Donohue of St. Christopher’s Church for his support and the staff at North Lambton Lodge for their care and compassion for Louis, Rita and their entire family. Louis grew flowers and brought them to North Lambton Lodge as he doted on his wife Rita there. It was Louis' wish to have donations made to the North Lambton Lodge Auxiliary or the Canadian Jesuits International in lieu of flowers. Family and friends are also welcomed to visit following the Beechwood Cemetery interment back at St. Christopher's Parish during a light lunch. 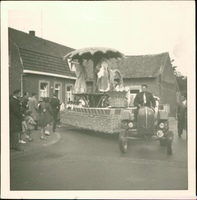 Carien Fuchs sent flowers to the family of Louis Hubert Antonius Vaessen. Margarita, Geoff and Family. Our caring thoughts and prayers to you with love.